"This picture shows a 20-foot-by-20-foot hole in the roof of a tunnel that is hundreds of feet long. Surveys of the area show no indication of release of contamination as a result of the cave-in," according to the Department of Energy. 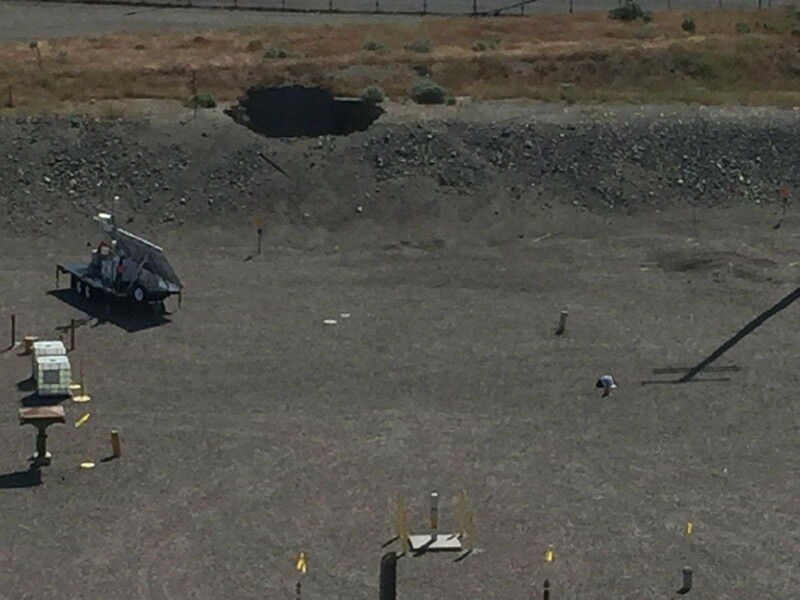 A 20-by-20-foot section of a tunnel used to store contaminated equipment at Hanford caved in; it was discovered during a routine inspection Tuesday morning, according to the Department of Energy. The discovery prompted an emergency alert at the site, though there has been no indication of any radioactive release. Crews surveyed the site and about 3,000 employees in the area were told to take shelter. All employees were accounted for and no injuries had been reported. Employees at the rest of the Hanford Site were sent home early as a precaution. The collapse, in one of two tunnels next to the former chemical-processing Plutonium Uranium Extraction Facility, known as PUREX, was found Tuesday morning around 8:30. The two tunnels at the PUREX facility are about 360 feet long and 1,700 feet long, and were used, starting in the 1950s, to store contaminated equipment, an update on the Department of Energy's Hanford website states. It's still unknown what caused the roof of the tunnel to collapse. 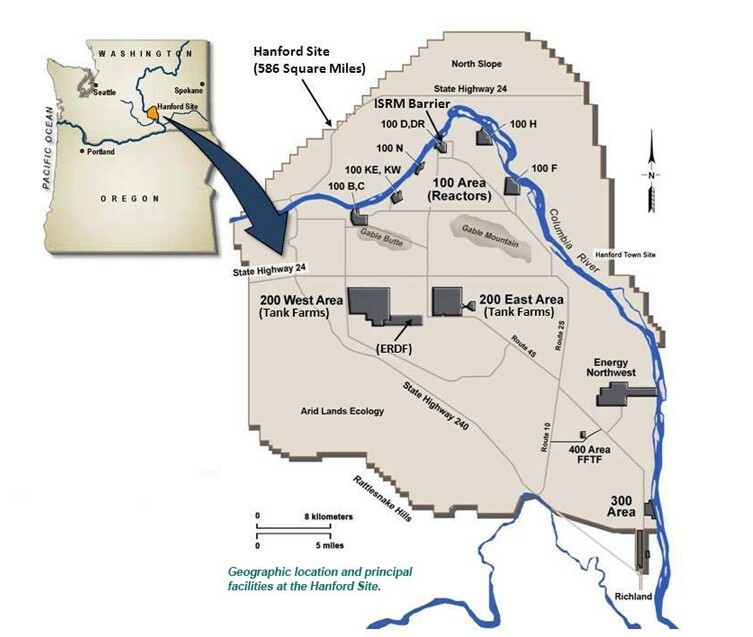 Hanford is a Superfund cleanup site, and the most contaminated of its kind in the country. The plutonium used in the bomb dropped on Nagasaki during World War II was made there. The collapse happened in tunnels to the PUREX facility, which is in the 200 East Area.